In January 2017 Attorneys Jeff Taylor and Tyler Moore filed a lawsuit in Cook County on behalf of a client who had sustained life-altering injuries to her arms and legs in a head-on collision. The client’s insurance company offered only $50,000 to settle, even though our client had undergone multiple surgeries and lost more than a year of wages during recovery. During our investigation of the collision we discovered that the defendant-driver had been traveling to a work-related seminar at the time of the crash. The insurance company claimed that the defendant was not “working” at the time of the crash and argued that her employer’s million-dollar insurance policy was unavailable to redress our client’s injuries. Thus, the insurance company claimed that the only available source of recovery was the small $50,000 insurance policy from the defendant-driver. In order to recover from the employer’s commercial general liability policy, we developed our case strategy toward proving that the defendant-driver had been within the “scope of her employment” at the time of the crash. In addition to the scope of employment argument, we also obtained a copy of the defendant-employer’s insurance policy to evaluate whether there was insurance coverage under a “non-owned auto” provision. Under the “non-owned auto” provision, we argued that employer’s insurance policy afforded coverage for the defendant’s vehicle because it was “used in connection with” the employer’s business. See First Chicago Ins. Co. v. Molda, 2015 IL App (1st) 140548. After nearly two years of litigation, multiple depositions of witnesses and doctors, the insurance company tendered the “policy limits” nearly four months prior to trial. The bottom line is that if you have been in a seriously injured, we recommend finding diligent attorneys who are not willing to settle for bottom dollar. 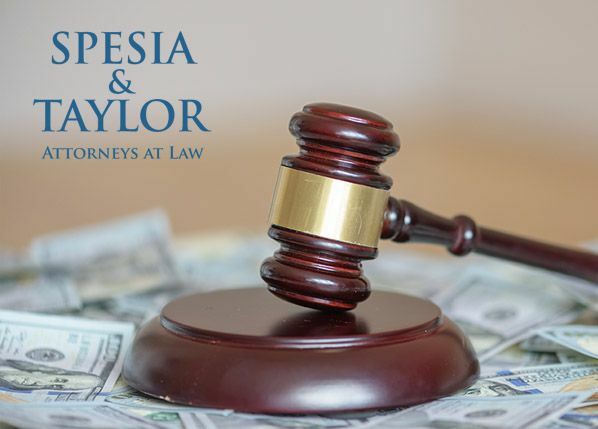 If you have any questions about your automobile accident case, contact our skilled litigation attorneys at Spesia & Taylor.